An amazing library of prints for your shirts is presented by RedBubble. They aren't exactly cheap, but you know, that's the price to enter the droid-army :). Screenshot from Website. © by RedBubble. All rights reserved. 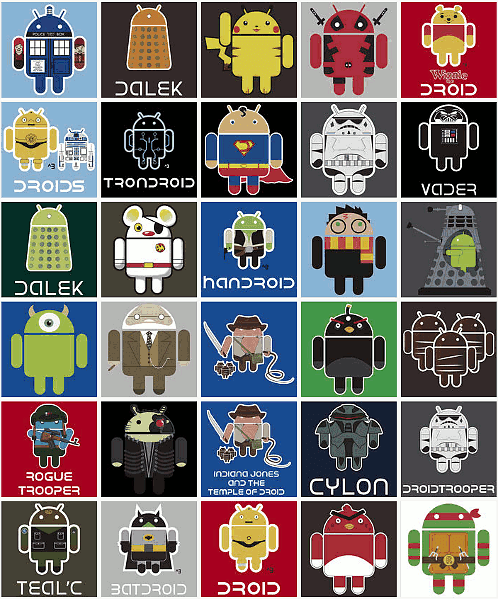 I mean Winnie the Droid, Handroid or a PikaDroid? How awesome is that shirt?